Our Masterclasses provide you with lots of podium time both in rehearsal and concert with established professional symphony orchestras and ensembles. We welcome all nationalities and all levels of professional conductors, conducting students, chorus masters, bandmasters, instrumentalists and music teachers. We encourage anyone who wants to share and improve their skills in leadership and orchestral conducting. The masterclasses are international and there are no limit of age for participation. 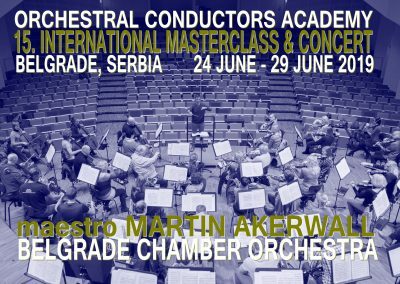 Orchestral Conductors Academy (OCA) organizes international master classes for conductors with fully equipped professional orchestras mainly in Europe and Scandinavia. Our purpose is to create development incitements and positive connection between the future conductors and the orchestras. The courses are designed to make the progress and experience for the participant unique and intense. With only 10-12 participants per class, you will be in center of the experience with plenty of podium time, video analysis and individual coaching. 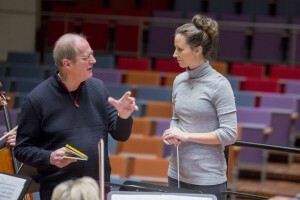 The masterclasses provides you with an unique opportunity to optimize and work with your individual challenges in the art of conducting with some of Scandinavian’s top-coaches for conductors. 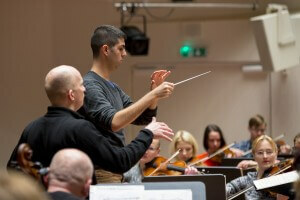 Orchestral Conductors Academy takes pride in offering courses of an intense and high standard. Based on thorough research of the market in courses for conductors we have developed a “No-Nonsense” concept where we strive to put each conductor in the center of the course for the week. We want for you to become an even more respected and professional conductor with better chances to navigate through your career as a conductor. 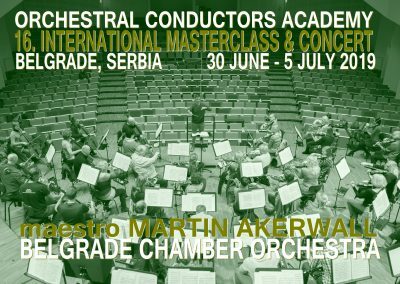 The OCA masterclasses takes place in both Scandinavian and Europe and provides conductors the possibility to optimize their conducting skills in front of an orchestra conducting the principal symphonic repertoire including opera, ballet, symphony and chamber music. 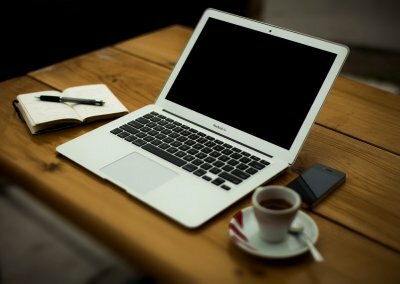 The tutoring includes analyzing scores, conducting and rehearsal techniques, performance practice, aspects of psychological and rhetoric communication techniques. Our news letter provides you with information about upcoming master classes and last-minute price attractive offers for our masterclasses. Further we inform you of conducting competitions and other career-enhancing possibilities.